The statement piece of the season has landed, and we are giddy with absolute joy to share it with you! 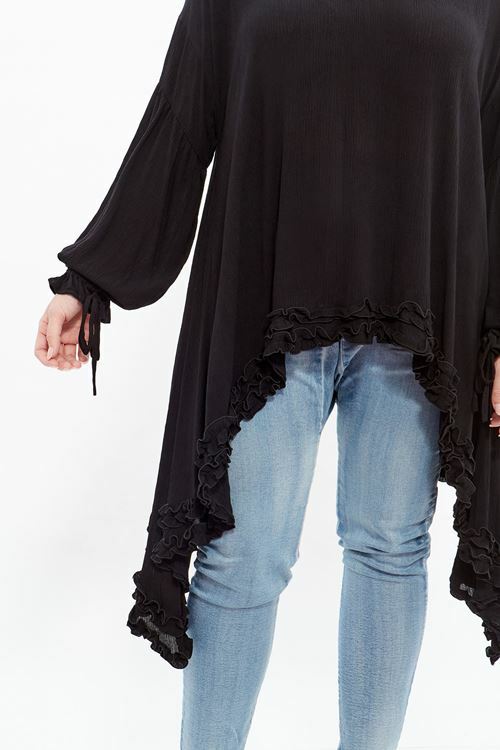 The Amazon Long Sleeve Frill Top in Black is the ultimate must have that will automatically make you the life of the party before you even enter the room! She’s fun, she’s flirty, all whilst having an air of sophistication and elegance. Featuring oversized full-length sleeves and an A-line hemline with the prettiest of ruffles – trust us when we say you’ll be turning heads for all the right reasons in this masterpiece! Featuring dramatic statement sides which have been carefully crafted to gently skim over all the right curves, in all the right places! 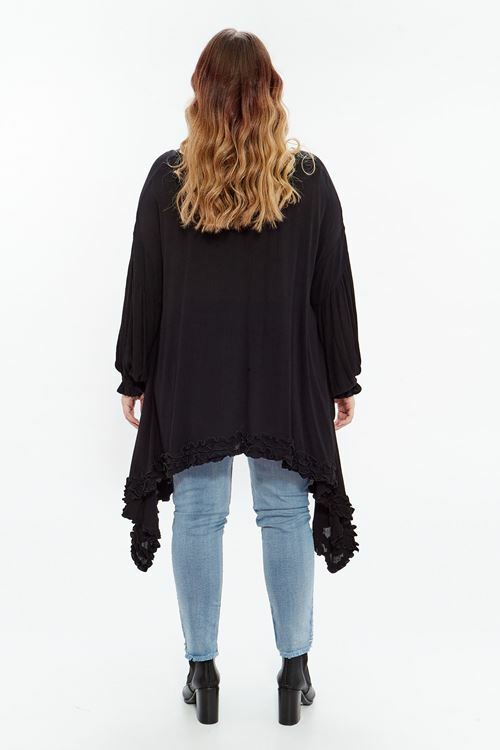 This piece can be simply worn with flats and our ‘Mid Rise Stretch Skinny Jo Jeans for coffee catch-ups with the girls, or add some heels, a bold lip and statement heels and dance the night away at an evening soiree!